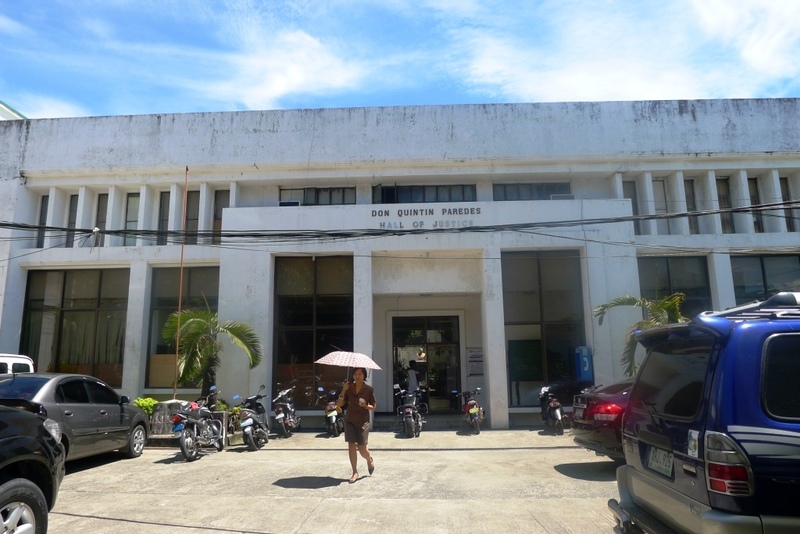 Joson’s criminal case was filed in Bangued’s Regional Trial Court Branch 2. Photo by ARTHA KIRA PAREDES. BANGUED, Abra – The whistleblower who has filed a complaint of plunder against two members of one of Abra’s most powerful clans now faces arrest after they turned the tables on her and sued her for falsification of documents. A warrant for the arrest of Bernadine Joson, who served as Municipal Planning and Development Officer and concurrent Sangguniang Bayan Secretary of Lagayan town, has been in force for the past six months. The warrant was issued by Branch 2 Regional Trial Court presiding judge Corpus Alzate on March 8 this year. It has a recommended bail of P24,000. Purificacion Paingan, the mayor of Lagayan and Cecilia’s aunt is listed as case witness. Several annexes were included in the case, one of which is the grave conduct and gross dishonestly complaint filed by Lagayan SB officials against Joson before the Civil Service Commission (CSC) of the Cordillera Administrative Region. SB members whose names appear on the said resolution claim that they never enacted it. They filed the affidavit complaint at the CSC and they are George T. Bayle, George B. Sequerra, Aguinaldo B. Ruben, Beda D. Pacis, Cleofas C. Pariñas, Romel D. Bilong, Jereme N. Cachero and Tomas P. Layao. Also annexed is a court decision in a criminal against Joson’s husband Isagani. Her husband was found guilty of murder in 1996 but has reportedly served his time. Joson served as Lagayan planning and development officer from 1998 to early 2011. She used to be a member the Concerned Citizens of Abra for Good Government (CCAGG), a renowned anti-corruption nongovernment organization, which was established after the first EDSA revolution. It is widely speculated here that Joson will run for public office in next year’s midterm elections. Members of the Luna family are also said to be vying for different posts in at least three towns. Immediate members of the Luna family remain entrenched in local politics. Aside from Jendricks, Ryan, Cecilia’s son was elected mayor of the provincial capital of Bangued. Her daughter Haya Lara is Lagayan Vice Mayor, son Buc Roger Barangay Captain of Dangdangla, Bangued and mother Anita Seares Barangay Captain of Bai, Lagayan. Money speak again, pity on you Mrs joson. Wow! the judge who issued warrant of arrest to you Mrs. Joson is the same judge who issued custody order to the grand daughter of cecilia seares luna, a US citizen child. Mano manen judge ti inpabulsa ti Luna kenka? Watch out because we have new SC Justice..Mrs. Joson alam mo na ngayon na mahirap lumaban kung wala kang pera. Who are you compared to the Luna? now you can differentiate real truth from juridical truth. the allegations are probably true but you have to substantiated it by presenting evidences which are admissible in court. Basol manen ti PNP data di ba JACK? basol ung mga P01 na naka vip security. It is widely speculated here that Joson will run for public office in next year’s midterm elections. The Luna sees Joson as a big threat to their ambition of political dynasty so they are doing all possible remedies to stop Joson. My advise to the Luna is let Joson run for whatever political position she desires and we will see if she can beat the Lunas, in that sense we will know the verdict of the people. But where will Joson get her machineries, mahirap pa siya sa daga? Why keep selling your soul to the devil? Everybody dies anyway but why are you so afraid to do the right thing? You know in your right mind that your cowardliness will be just inherited by your own line of generation, and why don’t just do them a favor by hiding yourself somewhere (with your prostituted money) instead of continuously ruining them in the eyes of the present and future generations? Do you think they will be able to live their life to the fullest when your humiliating legacy keep lingering in their minds? Of course not, then try to be a man for once in your life by asking forgiveness to your victims thru emissaries if you can’t still do it face to face, then to your Creator that He might give you second chance for a total “peace of mind” before your soul totally devoured by the devil. This is a more graceful exit than patiently suffering from the wrath of bad karma thru endless nightmares, pestering chronic illnesses, or mental tortures that sometimes you are tempted to run even nobody was attacking you because you already afraid with your own shadow. Don’t you want to be remembered like DILG Sec.Jesse Robledo or to anyone who died with good names? If not, very well then, go to hell with your own pinagputahan/prostituted money! I don’t think your heirs will use it for good because I’m sure, some of them will rise up completely opposite of your evil-doings. So better bring them with you, OK? I had been waiting for quite a while for somebody to post here the “Life and Legacy” of Sec. Robledo for us to “emulate”, but it seems that we are no longer interested to be inspired by an alleged good or honest governance/leadership? Wala na bang natitira na matitino ( ready to give not just sacrifice his life for the good of the masses) na politiko/ka sa Abra? Nakakatakot at NAKAKAHIYA tayo talaga, hindi lang sa loob ng Pilipinas kundi sa buong mundo dahil balitang-balita ang pagka-criminal at kabuklisan natin sa hindi naman nating pera! Pwe…Only in Abra..!!..daw!! The righteous/christian, highly educated, or respected professionals citizens of Abra, where are you and what have you been doing? Walang mga bayag? Ano sa palagay ninyo? Hindi mapalagay? Ako rin, he..he..
No adda tumakder nga mangidaulo, adda ngata sumuporta?????? who is the highest local leader ba ng abra? meron ba sya good governance para tularan sya ng kapwa nya elected officials. Di yo la tul-tuladen ni Gov TakeIt Bulsa-Amin. Hindi lang good, great governance ta imbulsa na aminen pati 300k monthly jueteng payola na. ay ket isu met la nga bumakbaknangen ni takit en…… if this is really true. i qoute “The righteous/christian, highly educated, or respected professionals citizens of Abra, where are you and what have you been doing? Walang mga bayag? Ano sa palagay ninyo? Hindi mapalagay? Ako rin, he..he..” religion of a man is not a guarantee to be a matuwid na leader. it seems that christains are only the righteos man in abra accng to your statement. we should observe religion sensitviity here.issues and concern lng tau dito that affect our province in general. Man of religion is not a guarantee to be a matuwid na leader. You got that right as we have seen or experienced from their hands. Okay, christian and non-christian alike are both righteous but how much longer we need to wait for reaching President Aquino’s advocacy towards “Matuwid na Daan”? Could you lead us then on this journey for it seems that you got the guts (or balls) even without religious people/sector’s business/participation? No adda tunakder nga mangidaulo, kayam ba nga sumoporta? I sincerely agree that Religion is a sensitive topic but I firmly believe that it’s the only way in achieving the so-called “Peace of Mind”. Have you ever observed that due to some issues and concerns that affect our province, not only the remnants/victims of injustices are afraid with their own shadow but now the perpetrators as well? How could you ignore likewise the mindset or emotional state of our still very young children? If you have a better solution rather religion, please don’t be selfish to share with us for I assumed that you are the only one left who is not yet afraid with his own shadow, but of course with the exception of the true (not liars, hypocrites, or pretenders) believers. Trust me on this one kabsat or perhaps force yourself without giving-up no matter what happens to read and understand the Bible until you feel completely freed from the traps of the devil. Nothing to lose by trying, but something to gain maybe? I don’t know (you don’t believe me anyway), find it out by yourself! No matter what, God loves you (it doesn’t matter if you are righteous or unrighteous/criminal/thieves) and so do I. By the way, I’m not affiliated yet to any kind of religion but make no mistake that I am an idolatrous. However, I hope that my non-membership to any kind of religious sect would not forbid me to love and forgive my enemies or to those who hurt and keep hurting me for it’s the only way that I found peace in my mind that leads to sound sleep. With regards to issues or concerns that affect our province? Let us give our current President and the righteous men and women behind him a chance with of course with the unconditional support of our righteous highly educated and non-educated citizens of Abra. Idi ubing ni apo takit ket naglaing ti basketball. All-around player kano. Kayana pay agrebound. so ammok nalaing met nga governor suna. Ops, madin sa ti logicko, yos! Why? She didn’t post her bail yet as of this time? If she already did, what’s the purpose of still keeping the news here? I am sorry for being blatant, but please let us be informed with the real status so that we could ask help from DOJ Sec. De Lima or DILG Sec. Mar Rojas if no righteous or godly individual has the nerve yet to attend to her needs. Saan nga rumbeng nga baybay-an dagitoy klase nga tao ta maysan to daytoy nga mangbal-baliw iti nalaad nga pakaladawan ti probinsiya nga Abra. Natured ken adda panagpuspuso na nga sidadaan nga mangipaay ti kakaisuna nga biag na agraman pamilya na. Narigaten nga makapagpataud tayo pay iti kastoy nga tao agsipud ta manmano pay laeng kadatayo iti husto nga makaawat iti makunkuna nga “If you really love Him and His people, deny everything for yourself, carry your cross, and follow HIM.” How could we allow this to go on waste just like that in the midst of our sufferings?